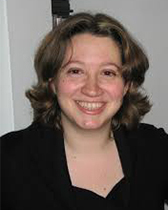 Efrat Daskal (Ph.D, The Hebrew University of Jerusalem, 2015) is a postdoctoral fellow at the Crown Center for Jewish and Israel studies at Northwestern University. Since 2010, she has dedicated her professional and academic training to the research and study of traditional and digital media policy while focusing on three main questions: (a) How social actors who are in charge of constructing media policy can be held accountable for their conduct; (b) how citizens (aim to) influence media policy as constructed by the powerful social actors; and (c) the outcome of the dialogue constructed between the sides. Efrat explored these questions, in her dissertation which focused on the case study of public complaints sent by Israeli viewers to media organizations in Israel. She completed her PhD in 2015 in the Department of Communication and Journalism at the Hebrew University, under the supervision of Prof. Tamar Liebes and Prof. Zohar Kampf. She began specializing in the field of internet policy as a visiting scholar at the Center for Global Communication Studies at the Annenberg School for Communication at the University of Pennsylvania and continued to work in this area as a Post-doctoral Research Fellow at the Open University in Israel (2015-2016), at the Hebrew University (2016-2017), and currently at Northwestern University. In her post-doc projects, Efrat explores the following issues: digital rights advocacy, youth involvement in the Internet Governance Forum, and the work of computer security incident response teams (CERT/CSIRT). Her work so far has been published in several journals such as: Information, Communication and Society, International Journal of Communication and Media, Culture and Society.